(2012.088.66, Lewis A. Danner Collection, OHS). Located in western Oklahoma, Roger Mills County is bounded by Ellis County on the north, Dewey and Custer counties on the east, Beckham County on the south, and the state of Texas on the west. Named for Texas politician Roger Quarles Mills, most of the county lies within the High Plains physiographical region, and the southeastern corner is in the Gypsum Hills region. The Washita and Canadian rivers drain the county. The Antelope Hills (listed in the National Register of Historic Places, NR 78002259) are located in a bend of the Canadian River in northwestern Roger Mills County. The county sits atop the petroleum-rich Anadarko Basin. Incorporated towns in 2010 included Cheyenne (the county seat), Hammon, Reydon, and Strong City. Present Roger Mills County was originally part of the Cheyenne and Arapaho Reservation. Before the area was opened for non-Indian settlers on April 19, 1892, Counties C through H were created. E County became Day County, and F County became Roger Mills. At 1907 statehood the boundaries of Roger Mills County changed. The southern portion of former Day County was added to Roger Mills, and the southern portion of Roger Mills was added to Beckham County. On March 17, 1930, Roger Mills' western boundary was changed after the U.S. Supreme Court ruled that the true 100th Meridian was actually thirty-eight hundred feet further east. Roger Mills County came to comprise 1,146.46 square miles of land and water. Roger Mills County's archaeological past is represented by 164 sites. Fifteen represent the Paleo period (prior to 6000 B.C. ), sixty-two, the Archaic period (6000 B.C. to A.D. 1), eleven, the Woodland period (A.D. 1 to 1000), and seventy-six, the Plains Village period (A.D. 1000 to 1500). Three of the Plains Village sites are listed in the National Register of Historic Places: the Lamb-Miller Site (NR 78002261), the Allee Site (NR 78002260), and the Goodwin-Baker Archeological Site (NR 78002258). Probably the first Europeans in the area were the Spanish led by explorer Coronado. They camped near the Antelope Hills in 1541. Almost two hundred years later French Canadian traders and brothers Pierre Antoine and Paul Mallet followed the Canadian River on their return trip from Santa Fe, New Mexico, in 1740. In the 1800s explorers and traders passed through the area. In 1821 after reaching the Rocky Mountains explorer Stephen H. Long followed the Canadian River eastward through present Oklahoma. In 1839–40 trader Josiah Gregg crossed the future state from Van Buren, Arkansas, to Santa Fe, following basically along the Canadian River. Capt. Randolph B. Marcy passed through the region in 1849 as he led a group of gold seekers across Indian Territory. In 1853 U.S. Army Lt. Amiel Whipple led an expedition from Fort Smith, Arkansas, to survey for a possible railroad route through present Oklahoma. Following crude roads just south of the Canadian River the Whipple Expedition passed through future Roger Mills County. Two significant battles occurred in present Roger Mills County. In the Battle of Antelope Hills Texas Rangers attacked a Comanche village on May 12, 1858. On November 27, 1868, Lt. Col. George A. Custer assaulted Chief Black Kettle and a band of Cheyenne camped along the Washita River in the Battle of the Washita. The Washita Battlefield National Historic Site (NR 66000633) was listed in the National Register of Historic Places in 1966. In 1818 the Quapaw ceded the land south of the Canadian River to the United States. In the 1820s and 1830s the Choctaw and Chickasaw were removed from the southeastern part of the United States to Indian Territory. By an agreement made in 1855 with the Choctaw and Chickasaw their land west of the 98th Meridian was leased to the United States. In 1869 a reservation for the Cheyenne and Arapaho was set aside in the Leased District. Due to the area's suitability for grazing, the Cheyenne and Arapaho leased reservation land to cattlemen such as Edward Fenlon and William E. Malaley. In the early 1890s the Bar X Ranch was established in northwestern Roger Mills County. Before the land opening on April 19, 1892, the Cheyenne and Arapaho received 160-acre allotments. Following the opening a temporary structure provided offices for county officials. In 1917 construction began on a two-story, red brick courthouse. Roger Mills County's economy has been based primarily on farming and livestock raising. Principal crops have included Kaffir corn, broomcorn, wheat, cotton, corn, and alfalfa. At 1907 statehood farmers planted 42,256 acres of corn, 23,280 acres of cotton, 12,256 acres of Kaffir corn, and 10,743 acres of broomcorn. In 1930 Roger Mills County had 2,353 farms, averaging 278.3 acres per farm. Of those farms, 49.85 percent were operated by tenants. That year livestock numbered 25,389 cattle, 5,964 horses, 5,326 swine, 3,142 mules, and 1,165 sheep and goats. In 1963 farmers had 40,000 acres planted in wheat, 27,600 acres in sorghums, 14,300 in cotton, and 4,200 in barley. At the turn of the twenty-first century the county had 680 farms, with an average size of 1,015.54 acres or a total of 690,568 acres. Roger Mills County benefited from the national conservation movement initiated in the 1930s to reduce soil erosion and flooding. The Sandstone Creek Watershed project, begun in 1950 under the authority of the Flood Control Act of 1944 (PL 78-534), comprised 68,770 acres in Roger Mills and Beckham counties. Upon completion of this project in 1952 twenty-four dams had been constructed. Early transportation routes followed the waterways and American Indian trails. In 1849 the California Road developed as gold seekers traversed across Indian Territory to California. From the mid-1870s to the 1890s the Camp Supply Road, connecting Camp Supply (later Fort Supply) in northwestern Oklahoma with the Red River, passed through the western portion of present Roger Mills County. In the 1910s Roger Mills County gained railroad service. In 1911 the Wichita Falls and Northwest Railway (later the Missouri, Kansas and Texas Railway) built a line between Elk City (Beckham County) and Leedey (Dewey County) that passed through Hammon and the southwestern corner of Roger Mills County. One year later the Clinton and Oklahoma Western Railway (later the Atchison, Topeka and Santa Fe Railway, AT&SF) constructed a line from Butler (Custer County) to Strong City. In 1914 the Cheyenne Short Line Railroad (later AT&SF) connected Cheyenne and Strong City. Modern motorists used U.S. Highway 283 and State Highways 30, 33, and 47. At 1907 statehood Roger Mills County had 13,239 inhabitants. Numbers declined to 12,861 and 10,638 in 1910 and 1920, respectively. Population peaked at 14,164 in 1930. Since then the county has lost residents as indicated by 7,395 reported in 1950 and 4,799 in 1980. At the turn of the twenty-first century population stood at 3,436. In 2010 the county's 3,647 inhabitants were 89.9 percent white, 5.8 percent American Indian, 0.4 percent African American, and 0.3 percent Asian. Hispanic ethnicity was identified as 4.5 percent. The Dorroh-Trent House in Hammon is listed in the National Register of Historic Places (NR 79002026). Outdoor enthusiasts enjoyed the Black Kettle National Grassland. In Cheyenne the Black Kettle Museum and the Roll One-Room School Museum offered exhibits of the historical past. Prominent Oklahomans who have hailed from Roger Mills County include U.S. Rep. Frank Lucas and artist Augusta Metcalf. The first woman ever elected to the Oklahoma House of Representatives, Amelia Elizabeth "Bessie" McColgin, also lived in Roger Mills County. "Roger Mills County," Vertical File, Research Division, Oklahoma Historical Society, Oklahoma City. 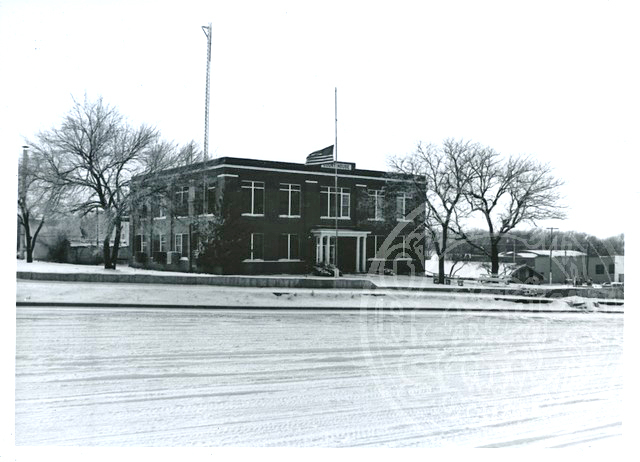 Roger Mills Minute: A History of Roger Mills County (Cheyenne, Okla.: Security State Bank, 1992). Nat M. Taylor, A Brief History of Roger Mills County (N.p. : N.p., 1947). Linda D. Wilson, "Roger Mills County," The Encyclopedia of Oklahoma History and Culture, https://www.okhistory.org/publications/enc/entry.php?entry=RO018.